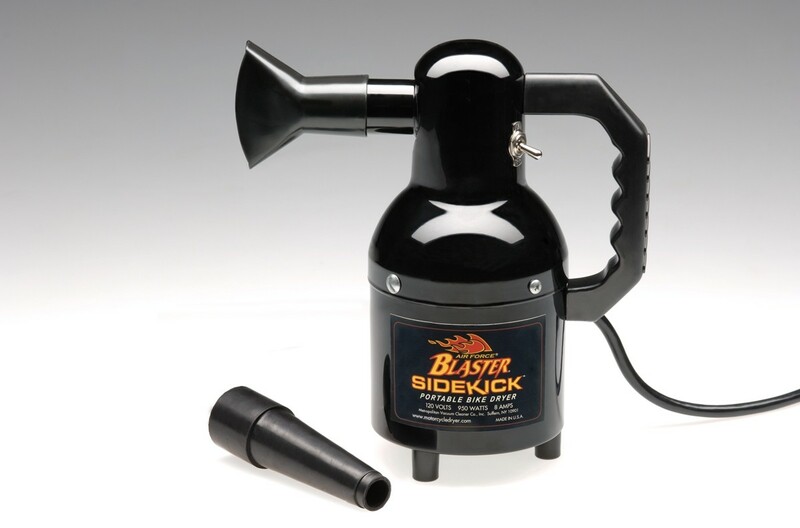 The Blaster Sidekick® Motorcycle Dryer is the perfect portable drying power for your small auto or bike. 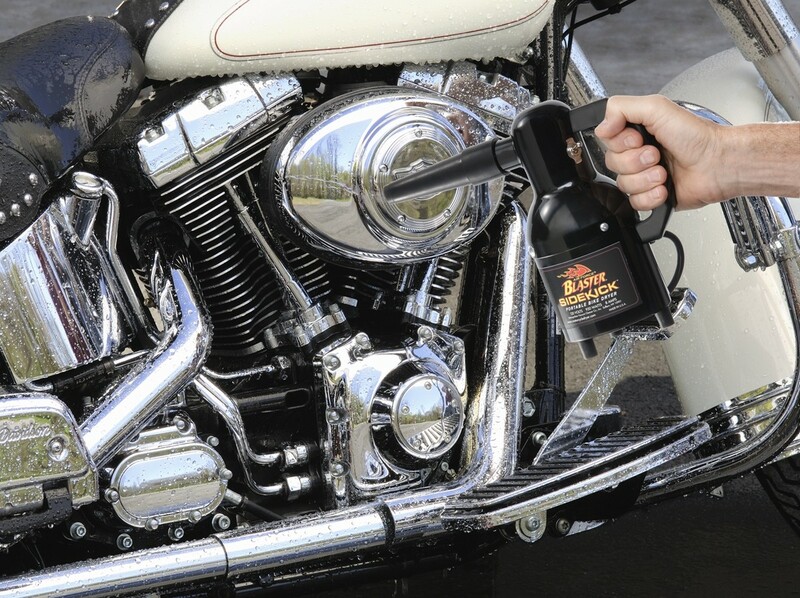 Ideal for drying motorcycles or “parts” of cars. 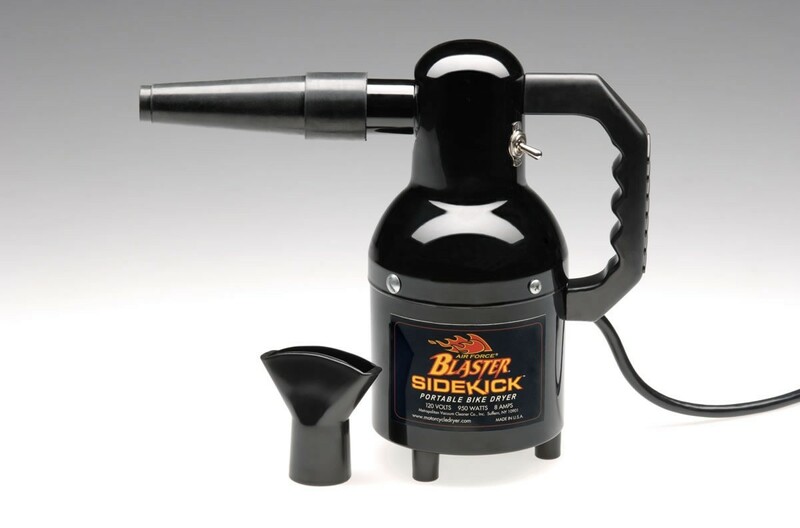 The Sidekick features a 1.3 HP Single Stage Fan Motor, Two Neoprene Nozzle Attachments, 14 in. Heavy Duty Cord, and an EZ Change Foam Filter. 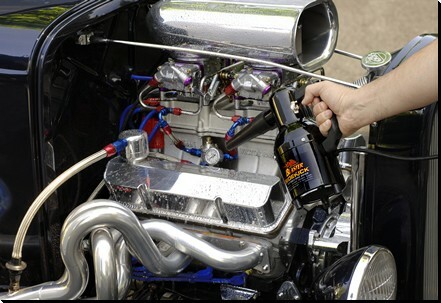 Due to its size and weight, there is a flat shipping fee of $10 for this product. Returns require a Return Merchandise Authorization (RMA) number. Please call us at (440) 290-7373 during regular business hours, Monday through Friday, from 9 a.m. to 5 p.m. ET or email to receive your RMA.